If there is a lesson to be learnt from Love & Friendship, it's that not everything coming out of Jane Austen's quill is gold. There are some fine actors in this tale of an old widow with a big mouth (Kate Beckinsale) and her attempts to secure a comfortable future while, at the same time, mishandling her daughter's prospects. We even have Stephen Fry in a minor role. The problem is, we do not have a good story; Love & Friendship is too much of a mishmash of stories with too many characters (so much so that the movie presents us with a personal written introduction to each, only that even that is confusing due to their abundance yet often infrequent appearances). 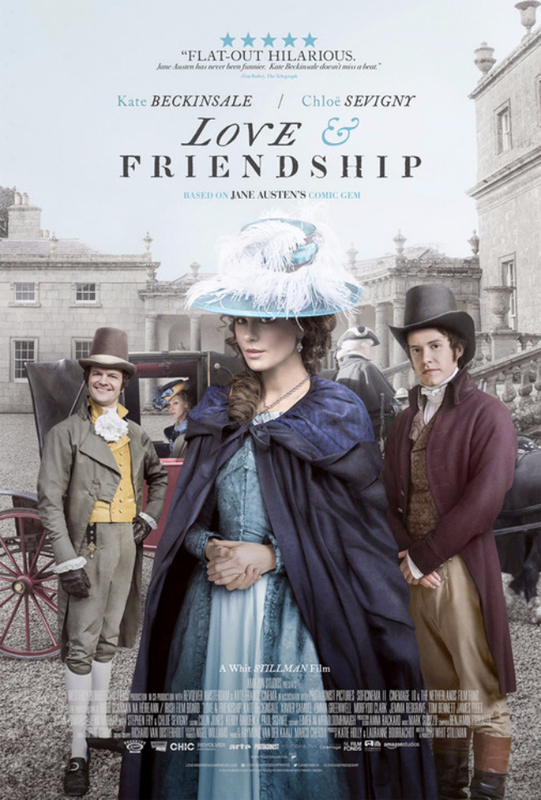 One can argue Love & Friendship might offer a historical representation of what the lives of the rich and comfortable was during Austen's time. Perhaps that is the case, but I argue that if I want to watch a meaningless talkfest featuring a multitude of characters I cannot identify with I'd switch the TV on any current affairs program. As it is, Love & Friendship, despite its hour and a half duration, feels long and boring. Overall: Clearly, moviemakers have grown desperate in their attempts to cash in on Austen's contemporary popularity. Some thing are best left alone, and Love & Friendship is one of those. 1.5 out of 5 bored crabs.